Saying he owes much of his success over the past 15 years to his time as a Hunter student, health care investor and entrepreneur Martin Shkreli has given an unprecedented $1 million donation to Hunter College High School. It's the largest single gift in the high school's 101-year history, the school said. The gift, announced March 9, to be managed by a new endowment fund in his name, is earmarked for a variety of uses, including funding new technology and teaching resources for the school's science and guidance programs. The endowment also aims to generally assist Hunter in "supporting and expanding its reputation as one of the premier schools in New York City and the United States." The contribution is among the biggest individual gifts ever made to a New York City public school. 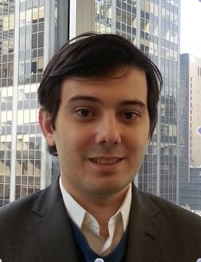 Shkreli, 31, grew up in Sheepshead Bay and attended HCHS from 1994-2000. He graduated from Baruch College in 2004 and went on to a stand-out career on Wall Street, with stints at several major hedge funds, including Cramer, Berkowitz & Co. and Intrepid Capital Management. For more on the donation and on Shkreli's background, read on. In 2009, he established his own firm, MSMB, which made a number of highly successful trades focused on short-selling strategies and prompting Forbes magazine to name him to its list of America's top "30 Under 30" for finance. In 2011, he formed Retrophin, a biotech company that had its successful IPO in 2013 on the NASDAQ exchange. Shkreli left Retrophin in 2014 and last week launched a new life sciences company, Turing Pharmaceuticals, which is currently developing a portfolio of new drug treatments for major medical conditions. A serious student of biochemistry and pharmacology, Shkreli holds several drug patents under his own name. "We're thrilled by Martin's donation, which will support a host of initiatives ensuring that Hunter stays in the vanguard of elite secondary schools in the country," Dr.Tony Fisher said. "Our students may also relate especially well to the gift, coming from someone who is not that many years removed from walking our school's halls. We look forward to applying these funds in a way that reflects the passion and intellectual curiosity that drives our student body. We also want to offer special thanks to HCHS alumnus Matthew Blumenfeld who did an expert job working with Martin to secure this unprecedented gift." "Beyond its great teachers and academics, Hunter encouraged me to think creatively and to challenge conventional wisdom," Shkreli said in a statement. "Hunter is a wonderful educational incubator and I'm hoping the endowment set up in my name will help train a new generation of students to stay ahead of the curve and also motivate them to always see around the corner." 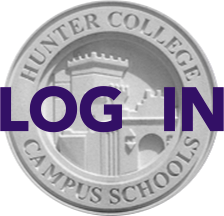 "As Hunter's President and a graduate of Hunter College High School myself, I know the critical difference a major gift like this can make in bringing positive change to campus," said Hunter College President Jennifer Raab. "We thank Martin Shkrelifor his vision and his dedication to HCHS, and know that his generosity will only make a great school even better."